Frequently Asked Questions - Piedmont Land & Timber, Inc.
and it was successfully achieved!" Payment will be paid in full upon signing of the Timber Deed. The payment can be in the form of a company check or a certified bank check. Piedmont Land & Timber carries a $1 million liability insurance policy. Piedmont Land & Timber is responsible for adhering to any local, state, and federal laws pertaining to our operations: including following the Best Management Practices (BMPs) as adopted by the NC General Assembly. This includes stream buffers and erosion control barriers. 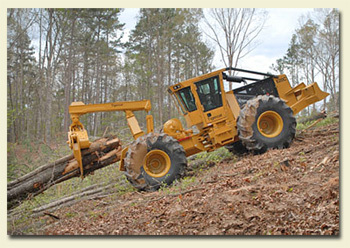 Piedmont Land & Timber prefers a 24 month time agreement to harvest and remove all forest products. The time agreement is negotiable for each tract. 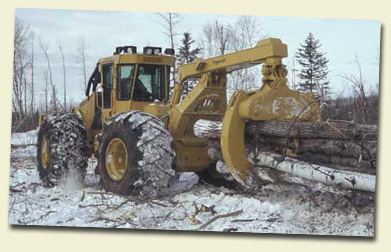 Piedmont Land & Timber is responsible for obtaining any and all permits pertaining to our operations. Piedmont Land & Timber is responsible for identifying and marking all property lines pertaining to our operations. 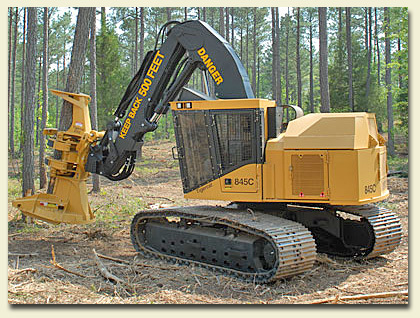 Piedmont Land & Timber will remove all man-made litter brought onto the property by our employees during our operations. There will not be any drink cans, tires, oil cans, paper products, etc. remaining on the property once our operations are complete. This program was established to help remove the pressure from increased property taxes on the individual property owner. Piedmont Land & Timber provides all the necessary paperwork to apply for this program, along with the completion of all the necessary forms for our clients to successfully be enrolled into the Present-Use-Value for Forestry program.